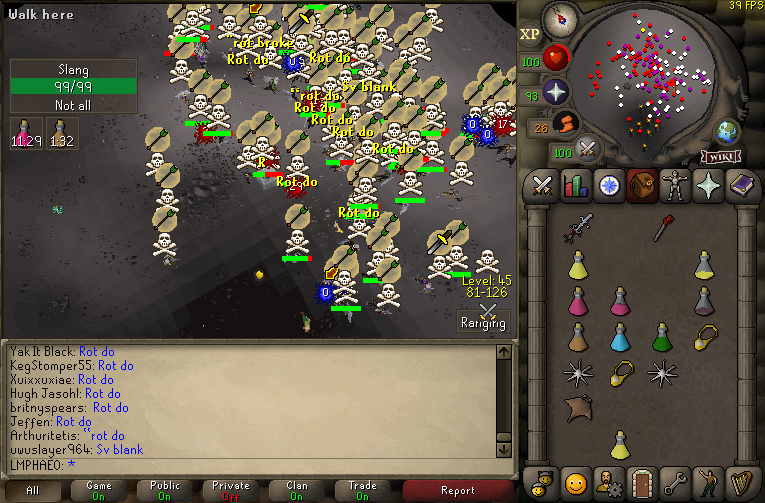 SV PM'd us looking for a fight, they had a decent amount massed (60~) so we accepted. 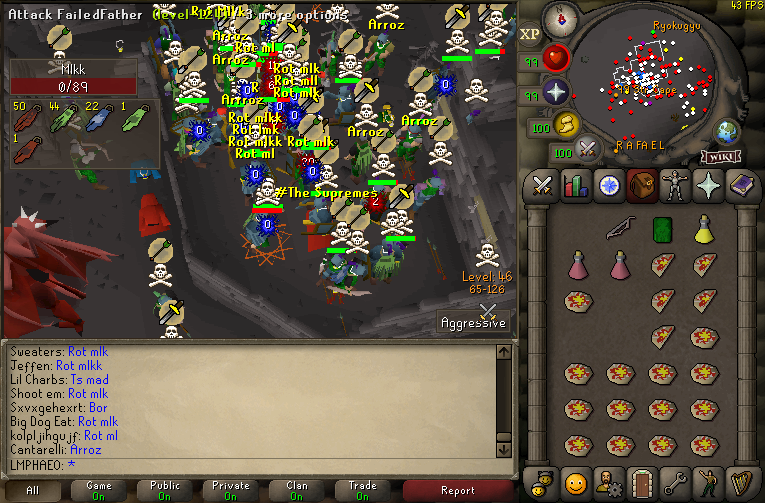 We started off fighting west of GDZ and had multiple piles going as we cut through their mages. 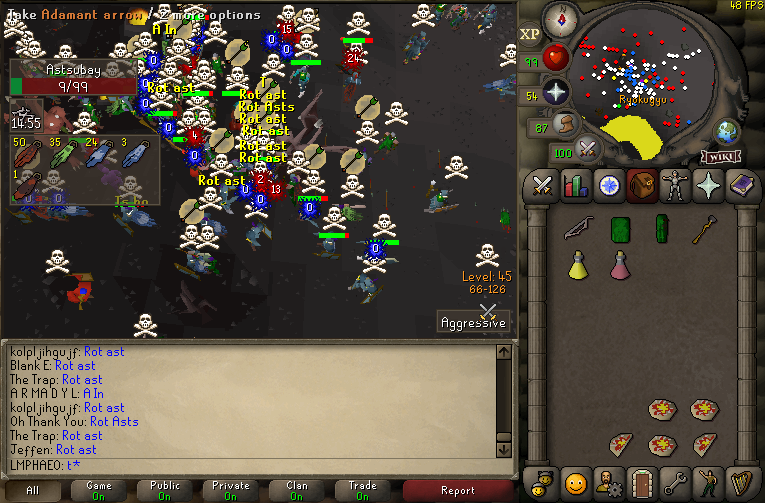 As the fight progressed they began to clump more so we caught them in some good barrage piles. 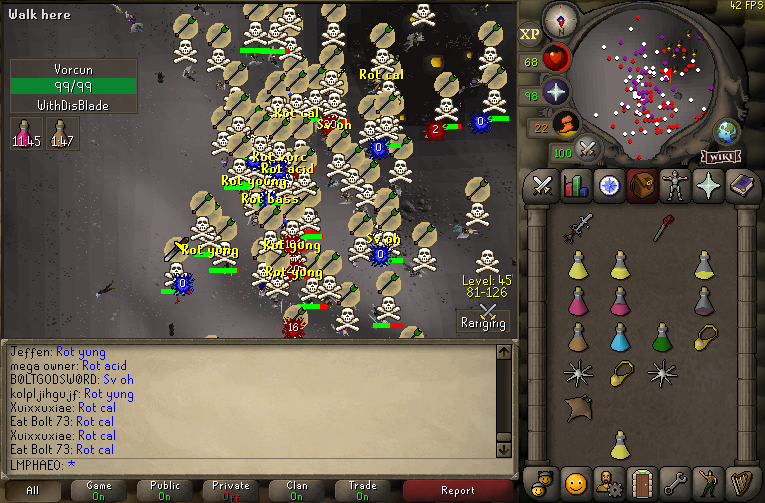 No Anti-RoT crashers showed up for the entirety of the cap. 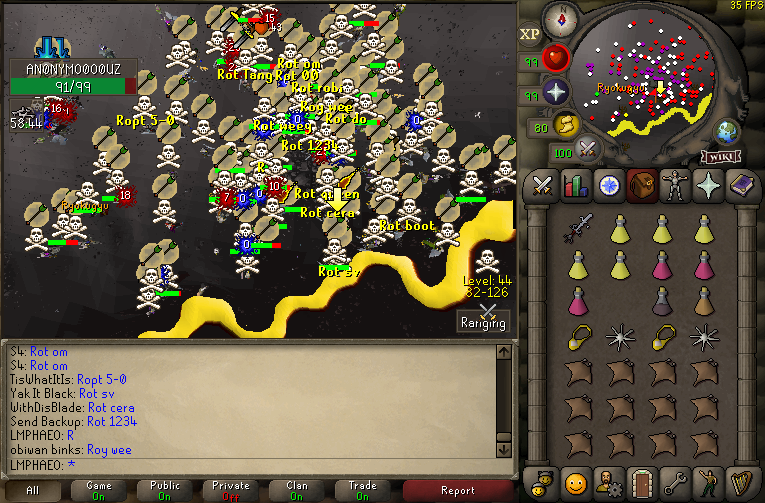 Mid way through the fight we heard Rev finally entered the wilderness (and they didn't even crash us LOL), so we sent 20 of us to run them out. 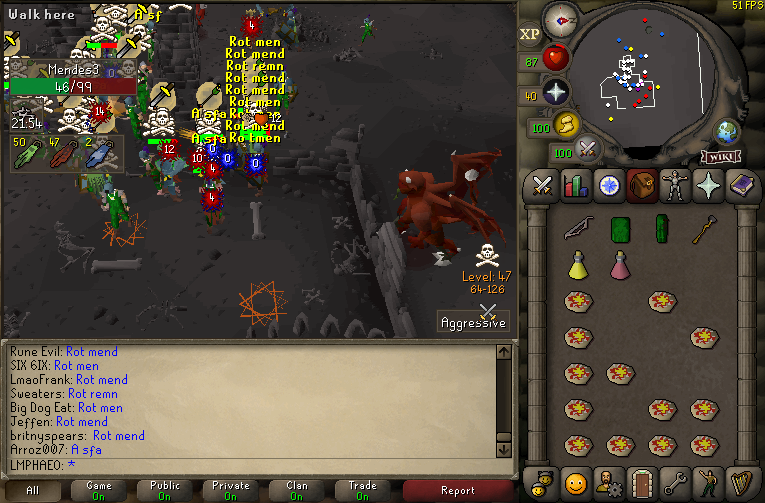 SV did well, but once we gained to even numbers we took complete control of the fight until the end of the cap. 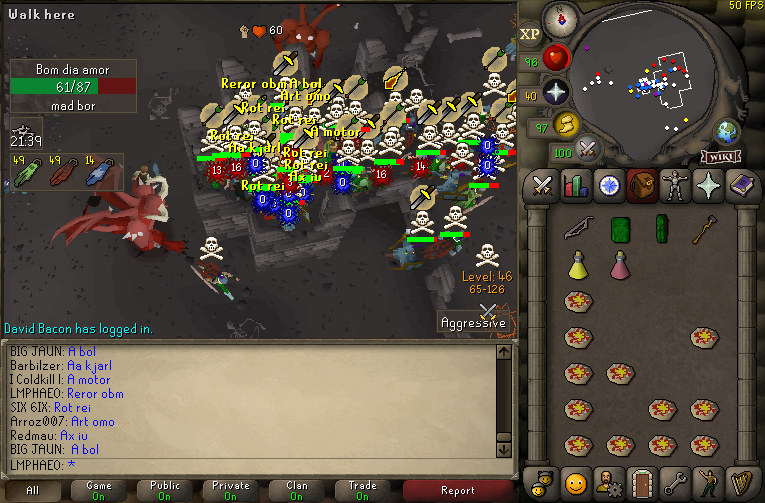 Good fight men. 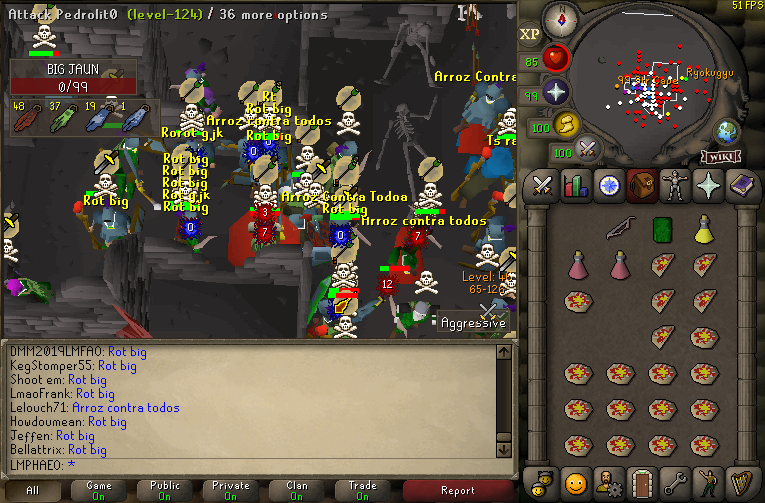 After fighting SV, we received a F2P fight offer from Arroz (Brazilian Country Clan). 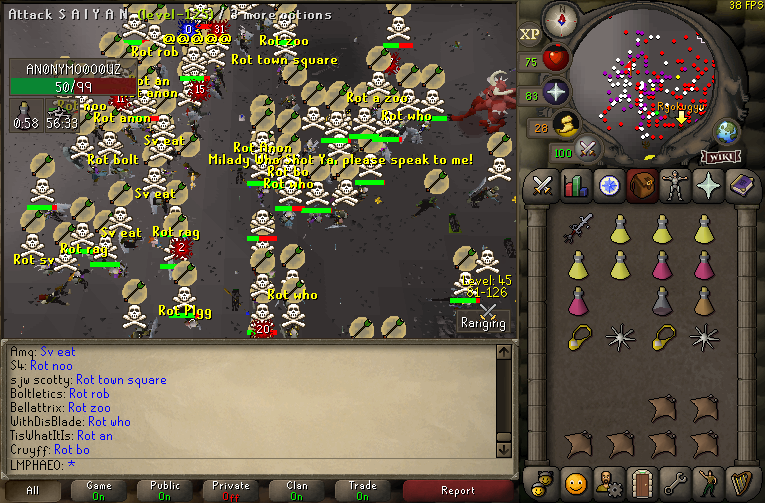 Not having done F2P in ages, we accepted. 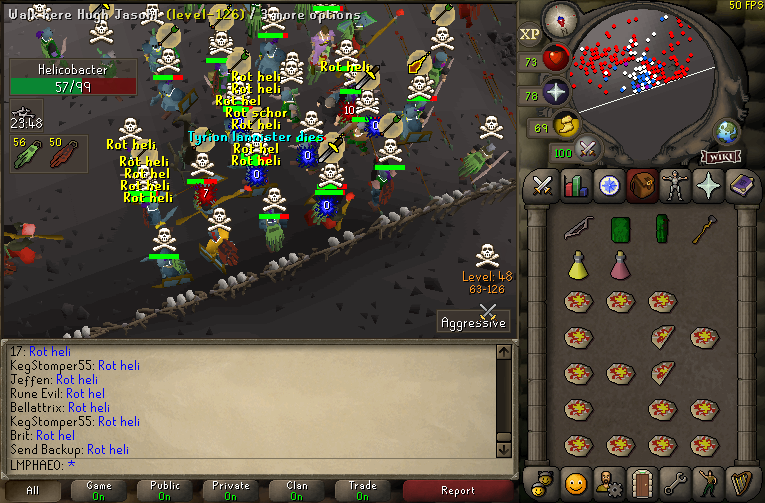 They rushed us at east tree with about 60. 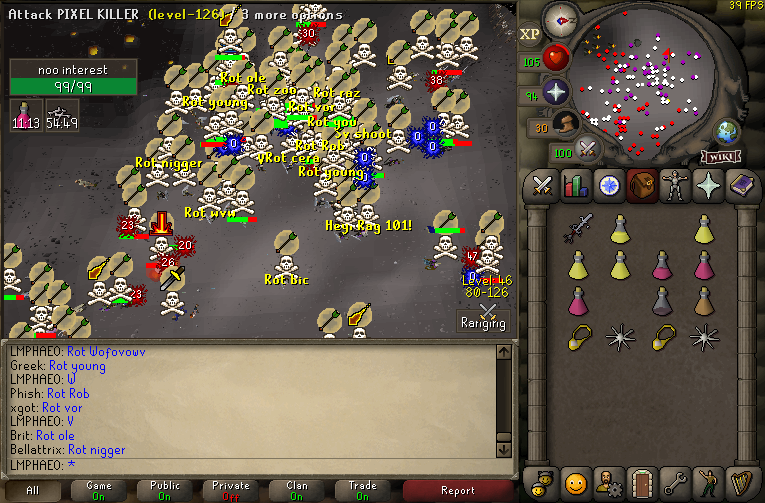 We started off a little rusty but once we got warmed up we swiftly transitioned through the Brazilians. 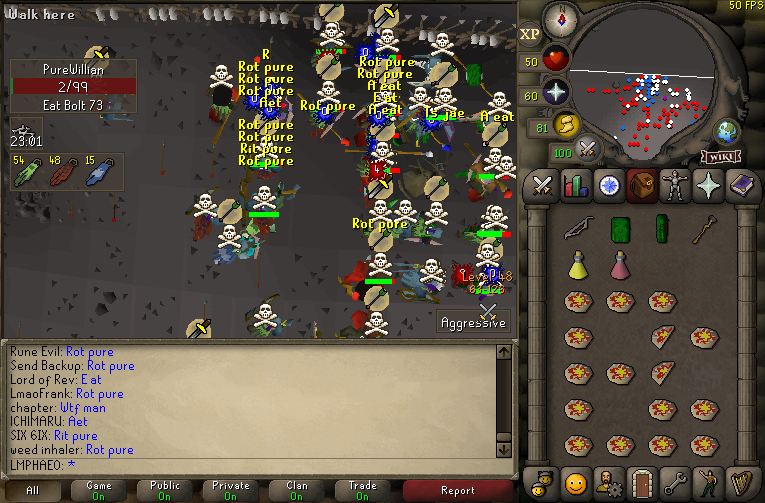 They put up a good fight considering the quality difference. 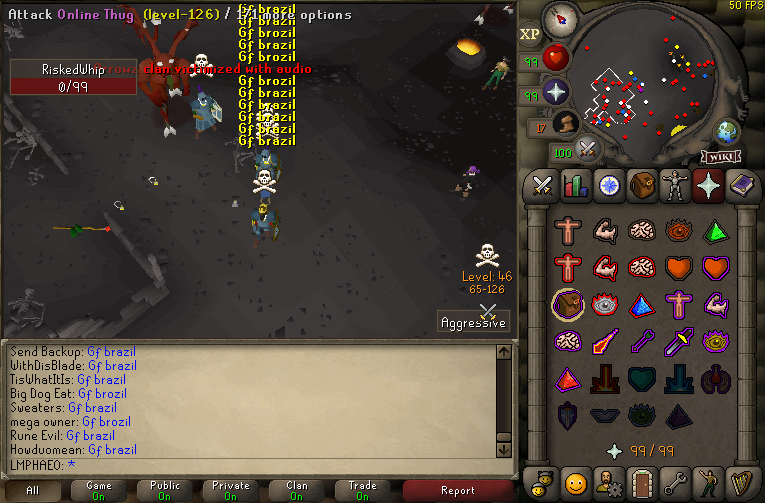 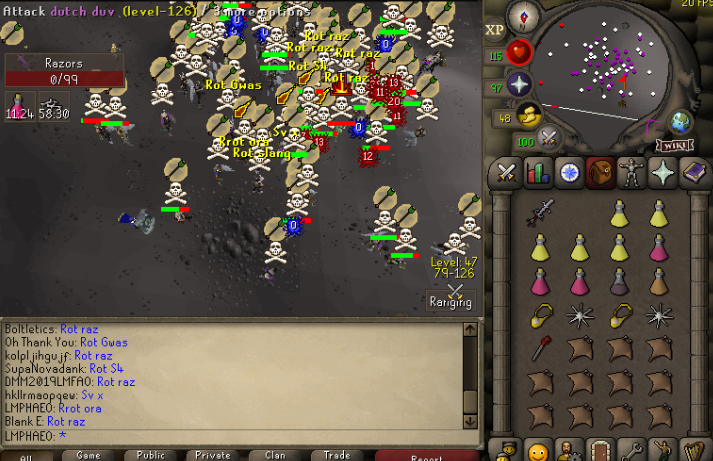 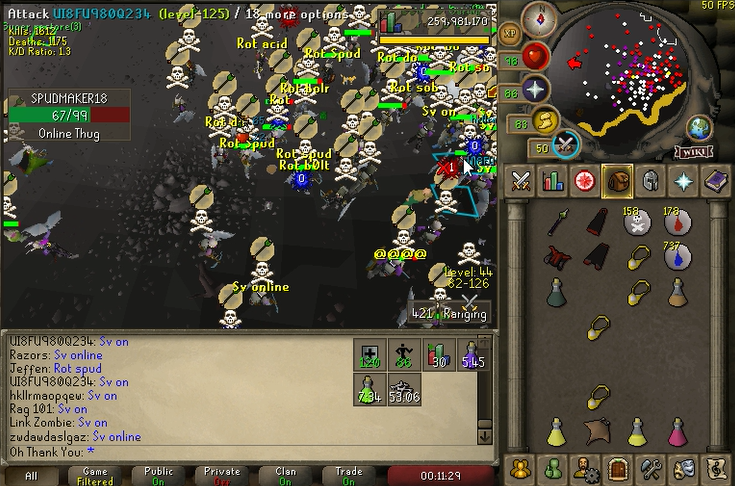 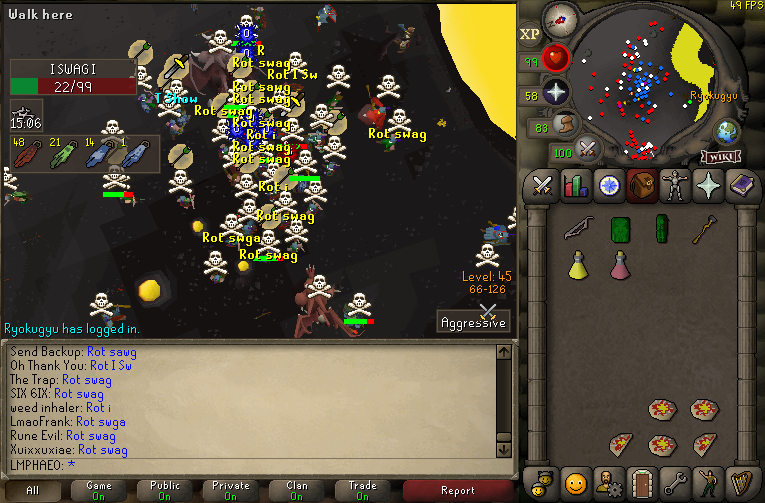 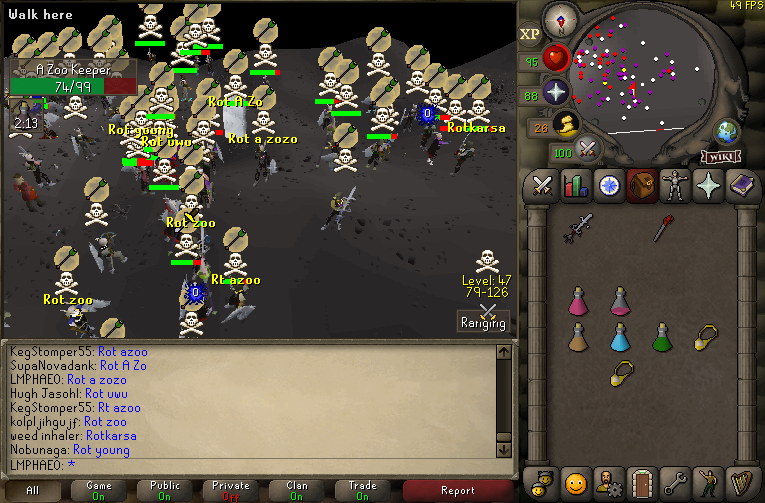 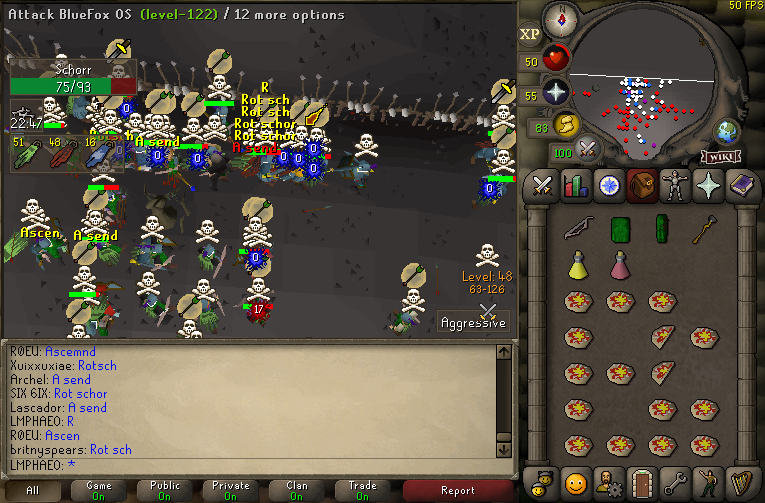 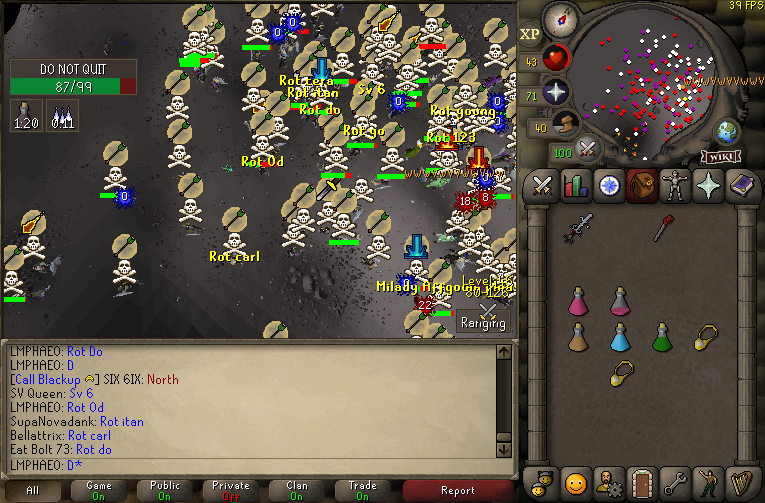 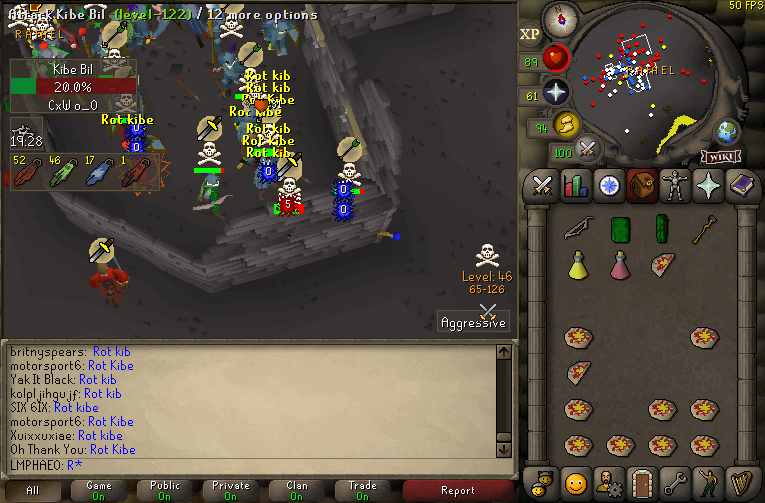 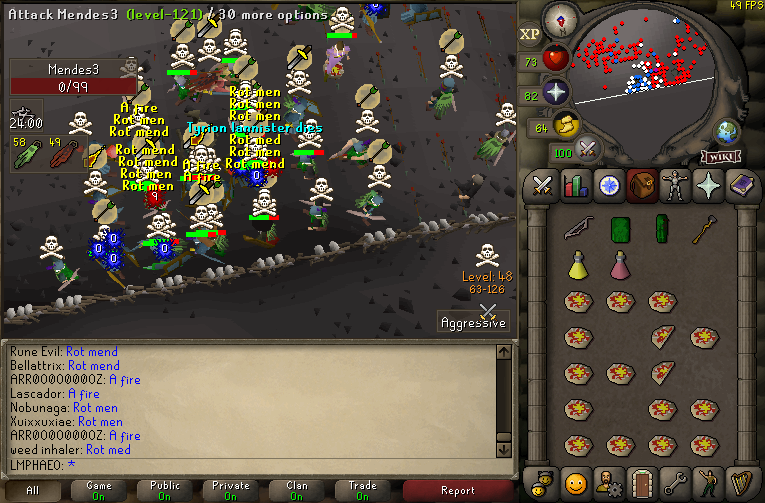 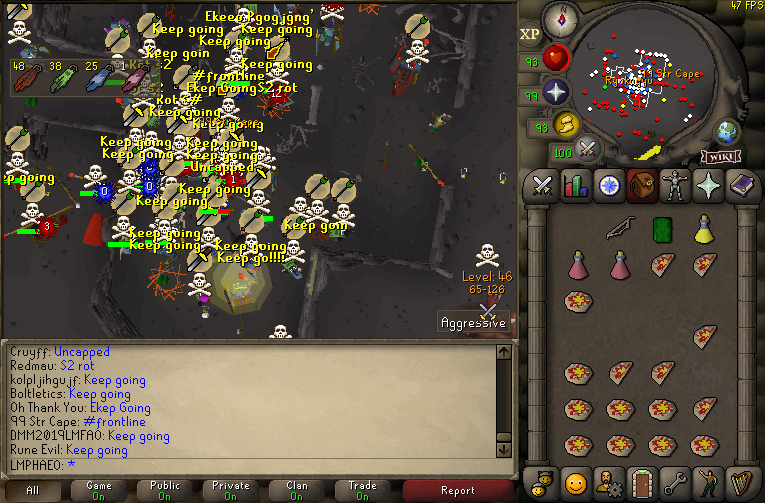 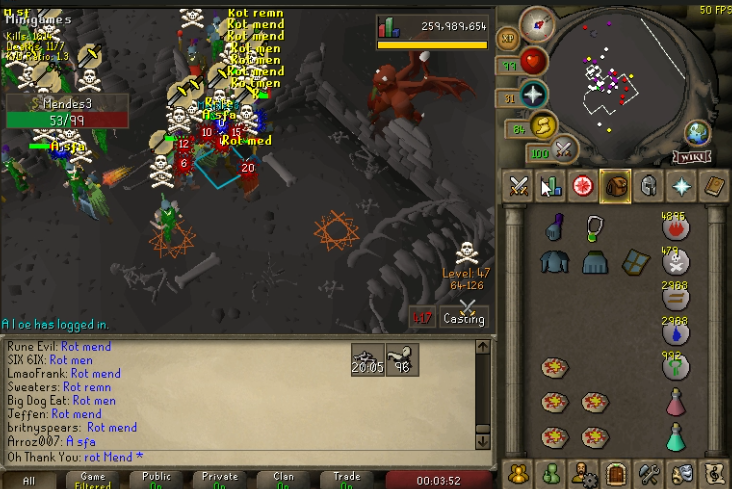 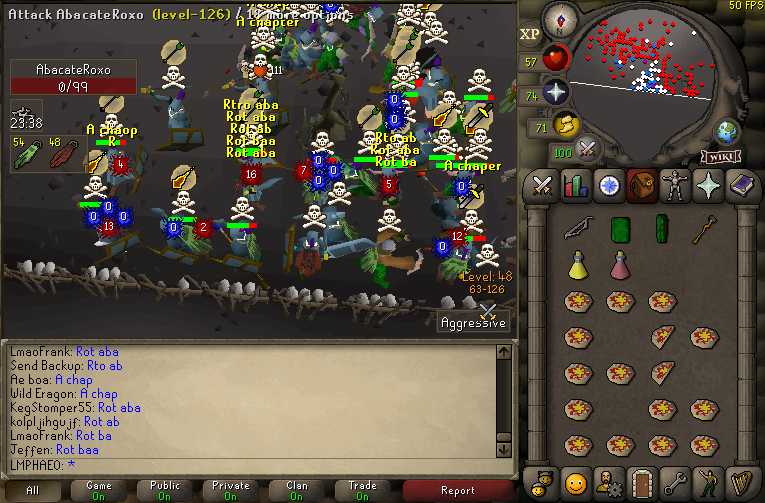 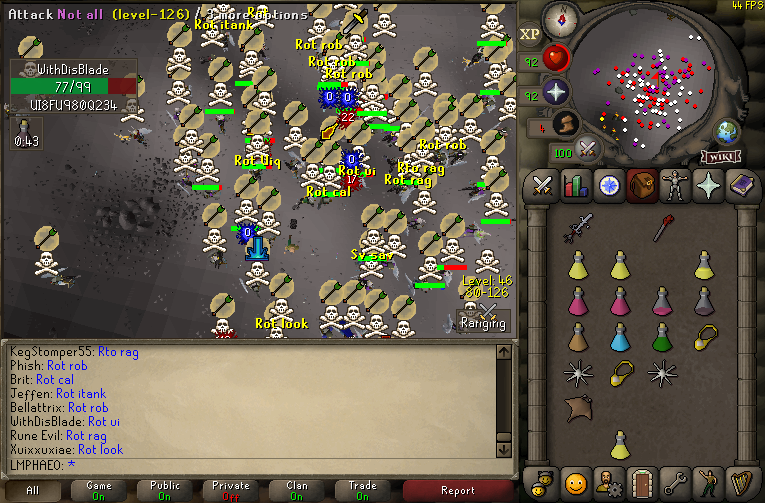 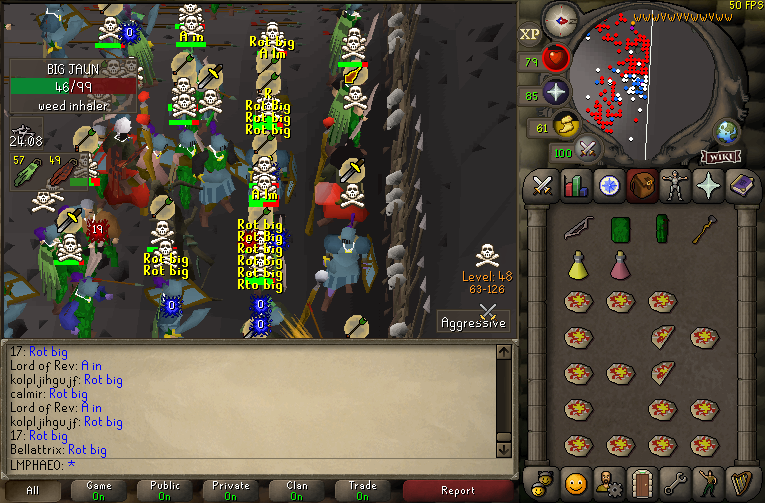 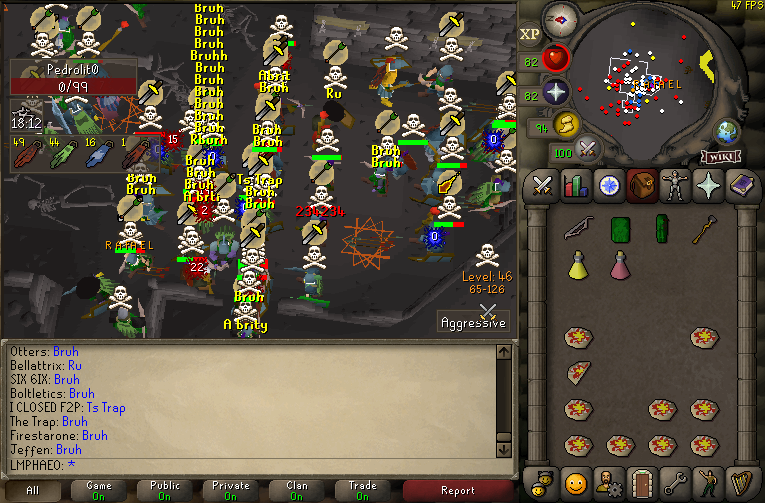 Zero Anti-RoT crashers showed up, leading to yet another clean fight for RoT. 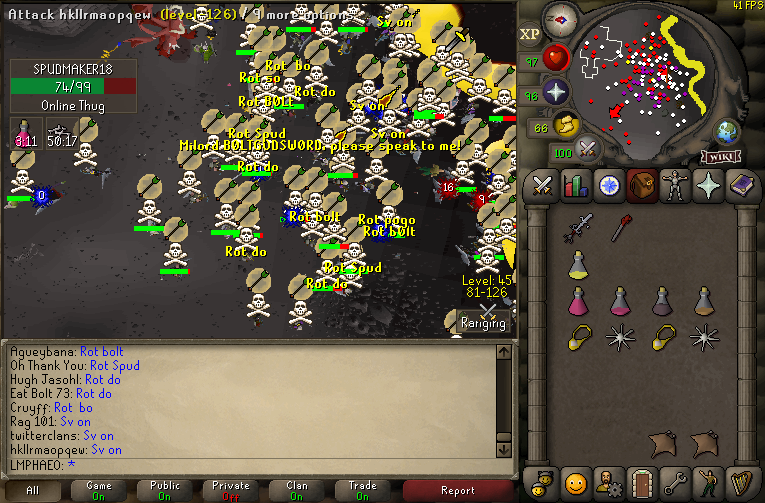 After a little over an hour, Arroz ended.